Special thanks to Michele Wyman and Micah Evans. This entire article was written with research by these Omahalogists with the Omaha History Mysteries team. In 1969, the Omaha World-Herald called this the most historic house in Omaha, and yet it was demolished afterwards. What happened here? A. D. Jones, Dr. Elizabeth Reeves, Robert Beech Howell, Anna Wilson, the Omaha Old Peoples Home Association, the Crosby Funeral Home, and many others touched the house at 2018 Wirt Street in Kountze Place from 1891 to 1970. Recently, I discovered that Anna Wilson’s last home was at 2018 Wirt Street in North Omaha’s exclusive subdivision called Kountze Place. We already knew she was buried in North Omaha’s pioneer-era Prospect Hill Cemetery. A wealthy madame, toward the end of her life Wilson made big donations to Omaha philanthropies, as well as donating her substantial brothel to the City of Omaha government. Wilson wasn’t the first owner though. Here are some of the different lives of the mansion before it was demolished. In 1891, Alfred D. Jones celebrated a life of hard work and built his fine mansion at 2018 Wirt Street. Three stories tall, it had nine rooms, several bedrooms and a fine parlor. Jones was the preeminent pioneer settler of Omaha, was famous throughout the city’s early history. As a surveyor, he laid out Omaha City and named its first and most prominent streets. He was one of the first lawyers in Omaha, and served on the first Douglas County Commission and on the first Omaha City Council. He was the Speaker of the Nebraska Territory House of Representatives, and the first postmaster in Omaha. As a member of the second territorial legislature, he also named several counties across Nebraska. He helped found the Omaha Claim Club, and later his law firm made him rich and he retired wealthy. He was 77 years old when he built his Kountze Place home. Located on ten acres on the southern side of Kountze Place, he planted fruit orchards across his land. His grand property neighbored the magnificent Redick Mansion, and was in the same area as J. J. Brown’s estate. His mother-in-law Elizabeth Reeves lived with Jones’ family. Credited as the first doctor in Omaha, she delivered the first 3 babies, along with hundreds of others throughout her life. She was a friend of the poor and frequently provided help without payment. Reeves lived with the Jones since they moved to Omaha, and lived at this their Kountze Place mansion until her death at the age of 92 in January 1892. Jones died a decade later in 1902, and his wife a year later in 1903. Robert Beecher Howell owned 2018 Wirt Street for a year. Robert Beecher Howell was a Nebraska State Senator when he bought the home at 2018 Wirt Street. Howell came from a regal New England family that landed in Massachusetts before the Revolutionary War. With many relatives serving in the military before him, it was surely no surprise when Howell went to the Navy Academy as a young man. Coming to Omaha in 1888, he became manager of the American Water Company’s Florence Water Works. 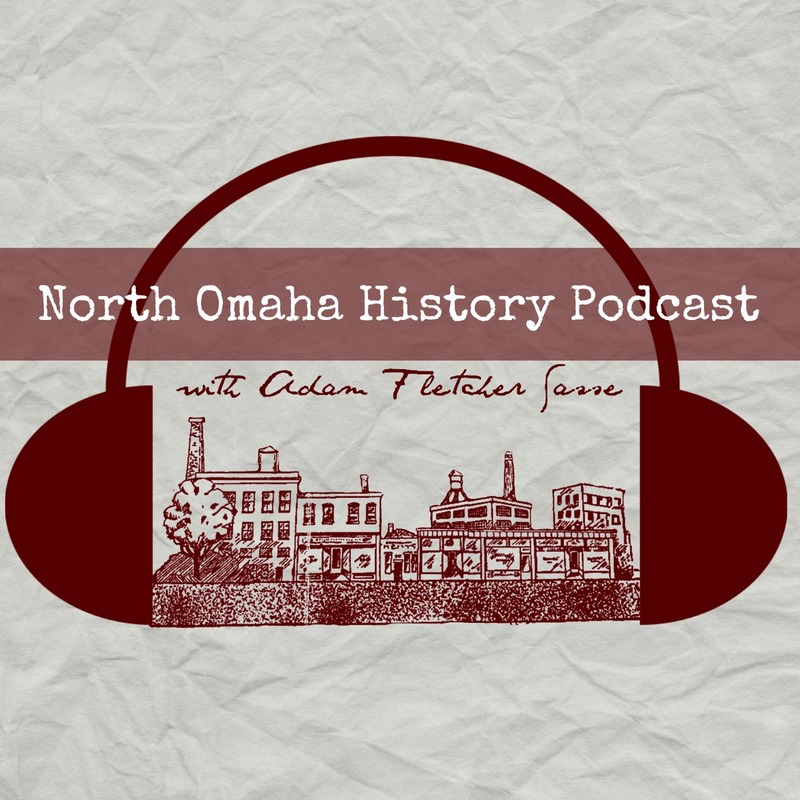 After going to fight in the Spanish-American War, Howell came back to Omaha to assume complete control of the water works, eventually leading its successor, the Municipal Utilities District, and stayed there for several years. Long after he’d moved from Kountze Place, Howell served in the United States Senate for a decade. He died in 1933. This is Anna Wilson’s gift to the City of Omaha, once located at 905 Douglas Street. The Omaha City Directory shows Anna Wilson as living at 2018 Wirt Street starting in 1906. A lot has been written about Wilson, and I won’t repeat all of it. However, here is a summary. A lot of mysteries surround the life of Anna Wilson, including where she was from and how well-educated she was. However, we know she got a lot of money from her common law husband, Dan Allen. Allen was a notorious gambler who rolled up travelers and locals alike in downtown Omaha, across the river in Council Bluffs, and on the riverboats that used to ply the Missouri. Wilson was also pretty successful, raking in money from her brothel for more than 25 years, including the boom year surrounding the 1898 Trans Mississippi and International Exposition. She was also a highly successful real estate investor, reportedly worth more than $10,000,000 when she died. By 1886, Wilson had made enough money to build a 25-room mansion at North 9th and Douglas Streets in downtown Omaha. She didn’t stay there herself for long, though. Wilson’s final home reflected her wealth. Located in Koutnze Place, Wilson moved in 1906 to a fine address on a paved street with gas lamps and streetcars running nearby. Located a block away from the Presbyterian Theological Society, there were also several churches nearby, along with many other homes for the well-to-do. According to a biography from the era, the home was filled with fine art, including paintings and sculpture, as well as beautiful fixtures, fancy wallpaper and deluxe furnishings. The yard was packed with plants of all kinds in well-maintained gardens. This is the original Old Peoples Home at 2214 Wirt Street in the Kountze Place neighborhood. Anna Wilson made friends in her new neighborhood. Delivering tea by hand weekly to the Old Peoples Home down the street, she befriended the seniors living there and made dignified company among them. When she died in 1911, Wilson left more than $1,000,000 to local charities, and gave her brothel to the City of Omaha to be used as a hospital. She also left her Kountze Place mansion to the Old People’s Home Association, and bequeathed the organization $10,000 for improvements and maintenance on the house. She was said to have a vision of the old people sitting on the wide front porch looking out over the street and smiling. However, all wasn’t well. While sitting in limbo for a while, Wilson’s servant and chauffeur Joseph Nelson was caretaker of the property for the Old People’s Home Association. In 1912, Nelson committed suicide at the house. It was said he was depressed because he wasn’t included in Wilson’s will. The Old Peoples Home Association wanted a new facility and never moved into Wilson’s Mansion. In 1914, the association filed suit against the Estate of Anna Wilson. Never occupying the mansion, they claimed that they were unable to use the property because of insufficient funds. They wanted to clear title to the property in order to sell it and build elsewhere. In 1915, the association was granted that title, and they sold the property in auction in 1916. Soon afterwards they built a new facility in the Florence neighborhood. The Kappa Psi fraternity’s Beta Nu chapter at Creighton University kept their house at 2018 Wirt Street for a few years. In 1917, Jasper Karnes of Red Oak, Iowa bought the mansion. Crosby Funeral Home moved to 2018 Wirt Street in November 1919. Just five months later though, a petition by 80 residents of Kountze Place claimed a funeral home is “depressing” and is depreciating the value of property in the neighborhood. Using flowery descriptions of plush suburban lifestyles throughout the neighborhood, they requested an injunction and damages from a judge. By August 1920, the funeral home moved and the mansion is offered for rent, advertised as being suitable for a rooming house or frat house. Soon afterward, Creighton University’s Kappa Psi fraternity advertised a pre-Lenten party in the university’s newspaper. The proximity of this a Creighton frat house being located within a few blocks of the Omaha University campus at North 24th and Pratt is probably not coincidental, but I haven’t found a connection yet. By 1924, the headquarters of the Omaha Bible Institute is located at this address, and soon afterwards the property appears to be used as a rental. The Omaha World-Herald runs a feature on the mansion in 1969, calling it the most historic home in Omaha. It features many of the stories above, and prints a photo that alludes to its former glory. However, that wasn’t enough to save it. In 1970, the home is vacant and condemned by the city. Sometime afterwards, maybe as late as 1980, it was demolished by the City of Omaha in its spree to rid North Omaha of its history, pride and purposes. In 1990, a nondescript new home was built on the lot, and sits there still today. North Omaha lost a jewel from its history crown the day this mansion was demolished, and Omaha lost another piece of its history.